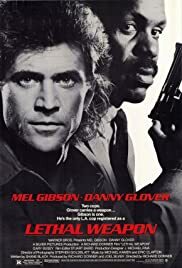 Can the TV show based on the Lethal Weapon movie franchise exist without having the Martin Riggs character in it? Mel Gibson played Martin Riggs for four films and it was hard enough accepting Clayne Crawford in the role but he owned it. However, the show seems to be taking a turn for an attempt at a reboot without Riggs since Crawford was removed from the show. Without spoiling anything, the way the second season ended certainly made for an easy exit within the story, but how do you reinvent the Roger Murtaugh relationship that has been a staple for years? The TV show did a good job of updating the story and making it transition well to the new actors and a new time making Riggs a veteran of from more recent wars and having Murtaugh deal with being a father of kids in the social media generation. But Lethal Weapon has always been about Murtaugh and Riggs, so how will it go without Riggs? There were always rumors of killing off the Riggs character in the films which would bring the franchise to a close. Will that happen for the TV show if there is no Riggs? The first episode of season 3 airs September 29 and you can be sure a review will follow.